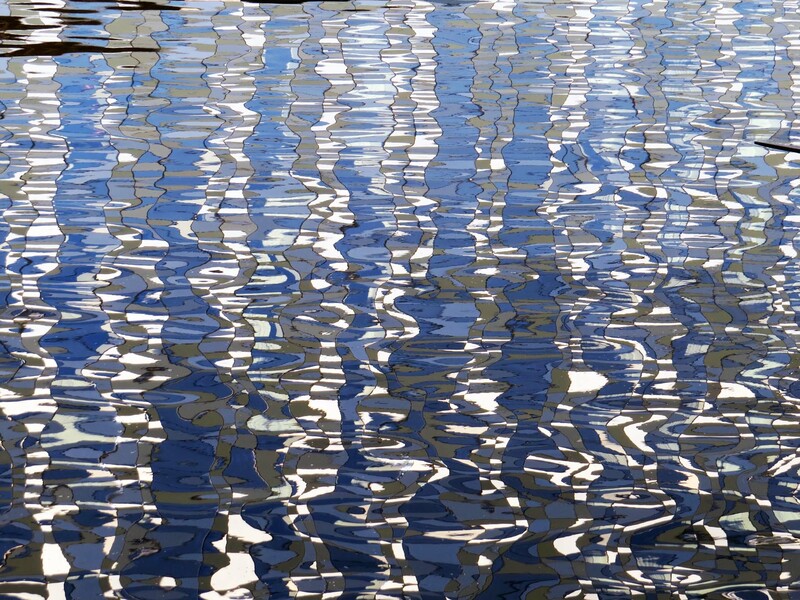 The Photo of the Week this week is this almost abstract picture of reflected fragments of the facade of the Radison Blu Riverside hotel. You can see a more conventional photo of the same scene at the foot of this. In fact I’ve altered the original picture very little. Just tweaked the exposure and the brightness in Photoshop. Otherwise this is as it came out of the camera. 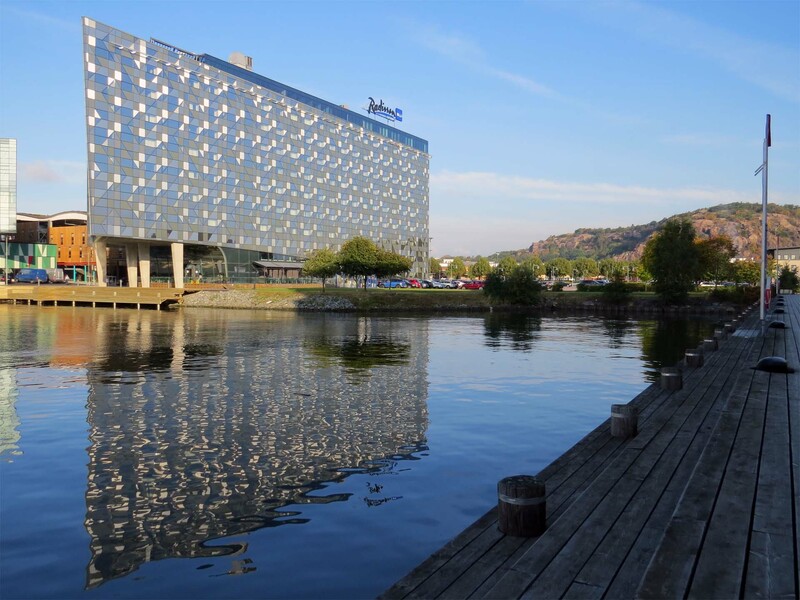 The Radison Blu Riverside is on the north side of the Göta River – Norra Älvstrand. This area was for most of the 20th century Gothenburg’s industrial heartland, with ship building wharves and mechanical workshops. Following the collapse of the shipbuilding industry there’s been a concerted effort to rebuild and re-purpose the north bank. It’s still going on, but the area round the hotel is almost completed now. The shipbuilding basins have become harbours for small boats and the city’s Science Park and technology campus provide fertile ground for new, high-tech industries to develop.